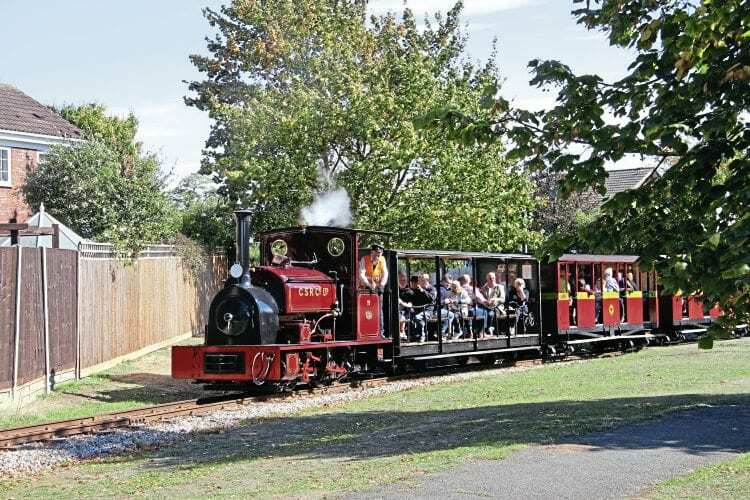 THREE guest locos featured in the Leighton Buzzard Railway’s (LBR) September 15-16 gala: Statfold Barn Railway’s Hudswell, Clarke 0-4-0ST Lautoka Mill No. 19, Patrick Keef’s Bagnall 0-4-0ST Woto and Nick Williams’ Andrew Barclay 0-4-0T Jack. Residents comprised O&K 90hp 0-6-0WT Pedemoura, Andrew Barclay 0-6-0T Doll, Baguley 0-4-0T Rishra, O&K 0-4-0WT P C Allen and De Winton 0-4-0VBT Chaloner. Chris Grimes’ Avonside 0-4-0T Sezela No. 4 also appeared in steam, shunting in Stonehenge Works yard. It has been out of action for around four years, but the overhaul is almost complete, with little more than the boiler cladding and some details to be finished.